Naquatic’s clicker game called Soccer Clicker is all about that sport played with a white-and-black ball, and not that other sport played with a brown or orange “pigskin.” The main mechanic in here, of course, is clicking, and you can “tap your way to glory” as you add to your cash, recruit new players, and manage your team against “real opponents from all over the world.” As the players in this game do not have names (just positions), those “real opponents” are other human players, but not Real Madrid, Arsenal, Manchester United, or any other soccer / football team from real-world leagues. All in all, this is a different sports-based game, because it’s all about clicking, and less about actual management and micromanagement, or kicking and passing the ball around in games that have more detailed graphics and animations. 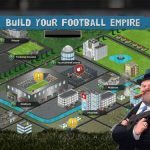 Now, if you want to manage a championship team and earn more money faster, it is highly recommended that you check out this list of Soccer Clicker tips, cheats and tricks. This is a clicker game, but this is not one of those games which you can call an idle clicker. You really have to keep working, and that means tapping and tapping on your screen so you can earn money. Use multiple fingers if you have to, because earning more money will allow you to buy more upgrades, which could come at premium price tags. Soccer Clicker wants to emphasize the social aspects of the game, and these aspects happen to be quite practical. That should be all the impetus you need to try this game out and learn more about its features. One of the main features here is the ability to join a team; you can earn an additional $1 cash for each team m ember. So, as you can see, it really is important to join a team the moment that option becomes available, but preferable to join a team with many people, because that means better bonuses. The game’s Playbook Tactics are simply the term that it uses for power-ups. These power-ups can be a great way to earn more money faster and buy new players/upgrade your existing ones. But you shouldn’t carelessly use the power-ups either. For instance, you will only need the first one you unlock when you’re getting ready for a match. The power-up must be used right then and there, as you wouldn’t be able to use it anymore once you’re losing to your opponent on match day itself, which is where everything counts. 4. Dilemma #1 – Should You Upgrade Offense Or Defense? You’ve heard the expression before – a best offense is a good defense – but since many mobile game makers make it much easier to fight on the offensive end, we can’t blame you if you would prefer fighting on offense instead of holding things down on defense. As for Soccer Clicker, the game will allow you to upgrade offensive and defensive skills, and while your first instinct may be to go all-out offensive and plan your upgrades that way, the first saying still holds true – again, a best offense is oftentimes the proverbial great defense. We would suggest putting a premium on defensive gameplay, and not offensive play. Based on our observations, you can get penalized more, as compared to the PPS you gain for offensive upgrades, if you don’t pay attention to the defensive end. Check your characters’ offensive and defensive stats so you know what to focus on, but when in doubt, always skew your strategy toward the defensive end. It is possible to upgrade your players and spend money so those upgrades go through. But you have to remember that the upgrades apply to both offense and defense, with separate counts. You can get the ball rolling and start upgrading players once you reach Level 50, regardless of the area. Still, one question you may be asking is whether you should focus on upgrading levels, or on upgrading stats/attributes/skills. So which is better? As far as we’ve seen upgrading a player’s level is more important than tending to their special skills or statistics. 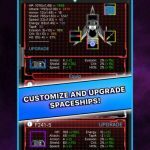 Upgrading a player’s level could also result in more damage, as that could dramatically improve your points per tap on offense, or OPPS on the defensive side of things. Until you unlock all the available team players and have already leveled them up sufficiently, you should focus exclusively on upgrading a player/character’s level, even if it won. So, if you boil this tip down and summarize it in a few words, we would say this – always spend money in improving your players’l evel before you check out their stats and see if you can increase them. The game will also allow you to get diamonds for free in certain parts of it. But how do you deal with the business of collecting all those diamonds? The simplest way to do so would be to watch advertisement videos, or like the game on Facebook, or giving it the best possible rating on the App Store/Play Store. You won’t get a whole lot of diamonds, but if you keep on watching ads, your coffers wouldn’t be as limited as you thought they might be. When upgrading your players, you should think about where a player is good at. For example, you don’t want to upgrade your goalkeeper’s offense, because all you’ll get is a minuscule PPS improvement per dollar spent. The goalie’s goal, no pun intended, is to stop the opponent from scoring, so you will want to focus on upgrading defense for the goalkeeper. Take a look at all your players so that you can find out which of them could give you more PPS per level. It would be best if you do this when your players are all in Level 10, do some stat comparisons, and upgrade based on those players’ strengths. It may be an offensive or a defensive skill, but just as long as you’re focusing on a player’s forte, all should be good. 8. Which Position Is Most Important? Strikers, as we’ve seen, are the best investments in this game. You will not be able to change your striker at all in the course of the game, so it makes perfect sense to spend money on making your striker better. So what happens when you invest mainly in your striker? Well, you can move forward faster each day, and since the game is based on tapping, investing in your striker could allow you to score more points. 9. Should You Spend On New Players Or Not? Signing new players may be a very expensive endeavor on your part, but the time will come when you have to sign new players to your team. You will get a player with the same level as the one whom you want to replace, which allows you to further progress and move on forward. And, if the opportunity is there to replace one of your players with one who is ranked substantially higher, you should go ahead and take it. Lastly, always make sure you’re getting a good deal for your money. If you see a mid-priced player with great stats and a high-priced player with similarly impressive stats, you will obviously want to go with the mid-priced player, for the very simple reason of getting enough bang for your buck. Hopefully, you learned something new from this list of Soccer Clicker tips and tricks and help you be more successful in the game. If you have something more to add to these tips, be sure to let us know!